There has been a lot of talk lately around relevancy: Some of the spring Google core algorithm updates are said to have had something to do with Google focusing on relevancy more. But what is relevancy and how to analyze it? Let’s discuss! Eric Enge is the CEO of Stone Temple Consulting, an SEO consultancy outside of Boston. Eric has years of digital marketing experience and he is undoubtedly one of the most trusted experts in the industry. Eric also writes for The Digital Marketing Excellence blog. Eric is a speaker and keynote speaker at multiple digital marketing conferences. Q1 How did you become a digital marketer? Please share your career story! It was an accident. I was working as a biz dev consultant. Then a friend asked me to help him with his company selling DVDs online. Then I figured out that he didn’t need biz dev, and I said to him, maybe we should try to get some traffic from search! Like a good CEO, he said, Eric, your idea, you go do it. A year later, we were doing $3M per year in sales from SEO, and I said, maybe I should do this for a living! It was off to the races from there. It’s been a wild ride ever since then. Ultimately, sold Stone Temple to Perficient (NASDAQ:PRFT) a marge larger consulting firm. That happened on July 16 of this year! 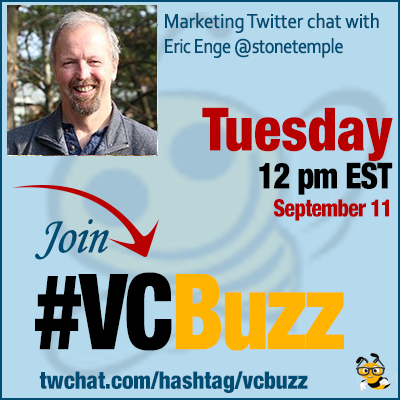 @stonetemple awesome story #vcbuzz I'm still in the struggle to startup. Q2 What is keyword relevancy and why does it matter? Great question. KW relevancy is at the core of SEO. Put simply, if the content is not relevant, it can’t rank. Obvious example: A page about tupperware can’t rank for “used cars”. It doesn’t make sense. But, it’s not that simple. Think of relevancy as a sliding scale. You can be highly relevant, pretty relevants, somewhat relevant, etc. For sake of discussion, imagine that relevance is scored from 0 to 1. Let’s say your page has a relevance score of .96, that’s pretty high, right? But what if your competition has a score of 0.99. They’re a lot more relevant. So now, how do you maximize your relevance? That’s a great question! The key is understanding what the main user intent is to the key phrase you want to rank for. Let’s look at an example, going back to the phrase “used cars”. Obviously, your page should talk about used cars. But, what are the user related needs when they search on something like that? What about your page is highly relevant to them? Obviously, they might want to see some info on used cars they can buy. But what else might they want? Some ideas: (1) A way to compare user cars for sale so they can make the best choice; (2) A way to filter available cars by make model year; (3) More filters: body type, color, mileage, price; (4) the maintenance history of the car; (5) information on the typical lifecycle for this make model year (how long it will last); the list goes on. 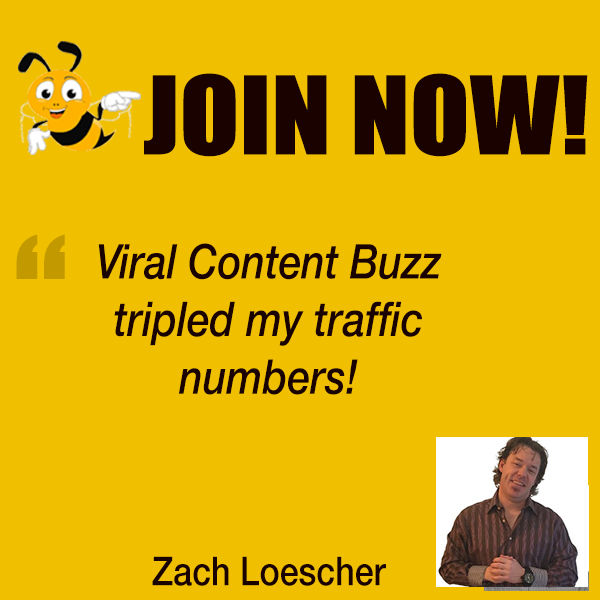 So how can you make your content satisfy the largest possible % of users who come to your page? That’s the question you need to ask, and need to answer, to maximize the relevance of your page! And, at the core of all that, is the right KW research. Q3 What are factors Google may use to determine if a site is reasonably relevant for the keywords it targets? Now for the tough question! So obviously, we don’t have the exact map of Google’s algos. But, we know some things they can do. First, they can perform a semantic analysis of your page, and see what content is on it. The semantic analysis is important. They can also compare your content with other content that they rank highly for the query. They can use this so see if you’re covering the right topics. They can also look at search query histories. If a user types in “used cars” and doesn’t like the results they get, what is the next query they try? That’s a clue to Google about what the user wanted to find in response to the first query. They can also measure user engagement, and exactly how they do that is not 100% clear. I don’t think it’s as simple as bounce rate, for example. But, they surely do measure engagement. Do users like what they see when they get to your site/page? And, frankly, links and mentions can be part of the picture too. Do highly relevant sites tend to refer to your site when discussing your topic area? It’s all part of the broader relevance picture. Q4 What to do if you find that a page is not relevant for the keywords it targets? There can be many reasons for a relevance failure. The first is that your page is thin on content, or doesn’t do the right things with titles, headings, and main content. Google is still reliant on text to help determine relevance. That’s where I’d start. Do the hard work of figuring out what content gaps you may have. See what the pages that are ranking high in the search results for the target query have in their content that you don’t. Make sure your content is on point. The next thing to look at is how the rest of your site supports the target them of the keyword. Is your site all about the same topic area (is it focused) or is the content basically a one off page? Tough to win with those. So maybe you need many pages of supporting content for Google to consider you relevant to a given topic. As @seosmarty suggests, don’t simply make your content as good as the competition. Kick their butts to the curb and create something that’s much better. Keep going back to the full experience for the user with your page and site, and create something amazing. The bad news: this is hard! The good news: once you’ve built it, you now have it, and for your competition – it’s still hard! Just think of the hard work of making great content and an exceptional user experience as a continual journey. It doesn’t have an end. It’s a mission. That’s the key to success with Google these days. Q5 What are your favorite keyword research tools? There are so many! I use a wide variety of tools: Searchmetrics, SEMRush, Brightedge, Keyword Planner, and Answer the Public to name a few. Answer the Public is particularly cool if you want to find the related questions people ask around your target topic area. You can also do keyword research by speaking with prospects and clients. What language do they use? What are their biggest questions? TONS of great data there.